“Jenny Sacerdote” is a registered trademark of the company Planète Publics.  This website, https://www.jennysacerdote.com is published under the trade name of LA SUITE JENNY SACERDOTE, by the company Planète Publics, a Simplified Joint-Stock Company with a registered capital of €5,000, having its registered office at 24 bis, rue de Picpus, 75012 Paris, registered in the Trade & Companies Register of Paris under the number 839 199 304. Telephone: +33 (0) 768 548 767. These General Terms of Sale (hereafter referred to as the “GTS”) unreservedly apply to all orders placed via the following website: https://www.jennysacerdote.com. The GTS exclusively govern online contracts of sale for the company PLANÈTE PUBLICS’ products sold under the JENNY SACERDOTE brand (hereafter referred to as the Vendor or JENNY SACERDOTE) to purchasers possessing the capacity of consumer (hereafter referred to as the Clients or the Client). The GTS, along with the order form and where applicable the quotation, constitute the contractual documents enforceable vis-à-vis the parties, to the exclusion of any other documents, prospectuses, catalogues or product photographs, which are provided for information purposes only. The information recorded in the Vendor’s information system constitutes proof of all transactions performed with the Client. The GTS apply to products delivered to Clients based in France and all countries abroad. The GTS and all contractual information mentioned on the website are/is drafted in French. The GTS are made available to the client on the Vendor’s website where they may be consulted directly. The GTS are enforceable vis-à-vis the Client, who acknowledges that by ticking the box provided for this purpose he has familiarised himself with and accepted these GTS before placing an order. The confirmation of the order constitutes acceptance by the purchaser of the GTS applicable on the order date, which are stored and copied by the Vendor pursuant to article 1127-1 of the French Civil Code. JENNY SACERDOTE reserves the right to adapt or modify these General Terms of Sale at any time. In the event of modification, the general terms of sale applicable to each order will be those applicable on the date the order is placed. The invalidation of any contractual clause will not result in the invalidation of the GTS as a whole. The temporary or permanent non-application of one or several clauses of the GTS by the Vendor may not be considered as a renunciation on its part of the other clauses of the GTS, which will continue to produce their effects. The products comply with the applicable requirements concerning personal health and safety, fair trading practices and consumer protection at the time they are launched on the market. The products comply with the requirements of French law as applicable at the time they are launched on the market. Offers for Products are valid subject to available stock. Upon receipt of the order the availability of the product or products ordered is immediately confirmed. If the product is not available, the client will be informed of this by email. The order for this product will then be cancelled and a refund issued, with the rest of the order remaining firm and final. The client will be reimbursed immediately (or at the latest within 30 days from the payment of the sums concerned). The products proposed for sale on the website are each covered by a description mentioning their essential characteristics pursuant to article L. 111-1 of the consumer code, such as shapes, materials, sizes and finishes. The products proposed for sale are described and presented as accurately as possible. The client should familiarise himself with their descriptions before placing an order. However, the photographs and texts illustrating these products are non-contractual in nature. The Client is informed that certain Products are traditionally made by hand. Irregular print is therefore normal and is considered an inherent characteristic of the product. The Client bears sole liability for the choice of and the purchasing of the products. Pursuant to article L. 113-13 of the Consumer Code, the sales price of the products is shown for each of the products in the catalogue on the website www.jennysacerdote.com. The prices for the same product may vary according to the fabrics and materials or other options selected at the Client’s discretion. The prices are shown in euros, inclusive of VAT, excluding delivery and carriage costs which are mentioned before the order confirmation and which are invoiced as extras. The sales price for the product is that applicable on the order date. The prices may include any possible reductions granted by the Vendor to the Client on the order date, based on the applicable loyalty programme, as described on the website www.jennysacerdote.com. These prices are firm and non-revisable for the validity period of the reduction. In the case of a promotion, the Vendor agrees to apply the promotional price to any order placed during the period covered by the promotion. The Vendor reserves the right to modify its prices at any time while guaranteeing the Client that the price applied will be that in force on the order date. The prices for the products are shown in euros, inclusive of VAT. The total order value includes the manufacturing costs for the product, in addition to the packaging, processing, dispatch, carriage and delivery costs. The total amount payable by the Client is shown on the order confirmation page. In the event of increases or reductions in one or several taxes or contributions, the sales prices of the Products shown on the website may be modified in order to incorporate these changes www.jennysacerdote.com. No price may be modified once the order has been confirmed by the Client. The payment requested from the Client corresponds to the total purchase price including these costs, where applicable. An invoice is prepared by the Vendor and issued to the Client at the time the ordered Products are delivered. The Client may log in to the website www.jennysacerdote.com before placing an order, with his username and password. The Client has the possibility to place an order directly on the website www.jennysacerdote.com or in the sales outlets. Continue shopping by clicking on the “Continue shopping” link. Complete his selection and place the order by clicking on the “Order” or “Place an order” link. Using the double-click process, acceptance of the proposal by the client is confirmed by the order confirmation. To place an order, after having filled his virtual shopping cart by indicating the selected products and desired quantities the client then clicks the “Order” or “Place an order” button and provides information concerning the delivery, completing a form containing the following details: civil status, last name, first name, complete delivery address, email address and telephone number. Before clicking on the “ORDER” link, the client is invited to familiarise himself with the GTS and to accept them by ticking the box marked “I have read and accepted the general terms of sale”. Before clicking on the “ORDER” link, the client has possibility to verify his order details and total price or return to the previous pages to correct any possible errors or possibly to modify his order. The order confirmation constitutes acceptance of the GTS and formally constitutes the contract. An email acknowledging receipt of the order and its payment is sent by the Vendor as soon as possible. Payment must be made at the time the order is placed. It may be made by bank card: Carte Bleue, Visa, Master Card, American Express, issued by a banking or financial establishment based in the European Union or by PayPal via the Client’s PayPal account. The provision by the Client of his bank card number, the bank card expiry date and the security code constitutes an authorisation to debit his account for the order value. An order is only considered as effective when the payment centres concerned have approved it. JENNY SACERDOTE will acknowledge receipt of the order by email when payment is made, pursuant to the provisions of article L121-9 of the Consumer Code. The Client guarantees that he is the holder of the means of payment he has chosen for his order. The transmission of any payment-related information takes place in a secure environment using the protocols applicable on the Internet. The Client selects the delivery method from among the options available for his destination. The vendor reserves the right to refuse any order on legitimate grounds, and more particularly if the quantities of products ordered are abnormally high for purchasers possessing the status of consumer. Additionally, in the event that a fabric or accessory required for the order of a clothing item is unavailable, the Client will be informed of this by email. The order concerning the Product in question will be cancelled and a refund issued, with the rest of the order still being considered as firm and final. It is the Client’s responsibility to check the accuracy of the order and to immediately report any errors. The Vendor reserves the right to cancel or refuse any order from a Client with whom an outstanding dispute exists concerning a payment for a previous order. Any modification to the order by the client after the confirmation of the order is subject to acceptance by the Vendor. The Client will receive an email informing him of the progress with his order. The contract of sale is constituted at the time the client submits his order confirmation. The archiving of communications, order forms and invoices is performed using a durable medium in order to have a faithful and durable copy pursuant to article 1348 of the Civil Code. These communications, order forms and invoices may be produced as proof of the contract. To place an order, the Client may create an account or log into his existing account. A visitor wishing to place an order may acquire a username and password by registering as a client on the Website jennysacerdote.com. When placing his order, the client must complete a form containing the following information: civil status, last name, first name, complete delivery address, email address and telephone number, and tick the box “Create an account”, then choose a password. The Client declares that he is aged at least 18 years old and has the legal capacity or is the holder of an authorisation from his parents enabling him to place an order on the Website. The Client agrees to provide JENNY SACERDOTE with truthful and accurate information, necessary to the performance of the services covered by these conditions as requested online and according to his situation, including his last name, first name, address, and valid telephone number and e-mail address. The client is responsible for all consequences arising from false, inaccurate or illegally used information. The Client may modify his details in the “My account” section. The Client is responsible for updating the information supplied. He may modify it by logging in to his account. To access his personal area and his order history, the Client must log in using his username and password, which are strictly personal to him. Accordingly, the Client agrees not to divulge these to whomsoever. Failing this, he bears exclusive liability for all use made of them. The Client may also request to unsubscribe by visiting the dedicated page in his personal area or by emailing: lasuite@jennysacerdote.com. This request to unsubscribe will be processed within a reasonable period of time. In the event of non-compliance with the general terms of sale and/or of use, the website www.jennysacerdote.com has the possibility to suspend or even close a client’s account after the issuing of formal notice to comply by email, this remaining unheeded. The deletion of an account, regardless of the grounds for this, will lead to the pure and simple deletion of all of the Client’s personal data. The Vendor will not be liable for any event caused by force majeure circumstances resulting in problems with the website or the server, and subject to any interruption or modifications in the event of maintenance. Any order placed via the Website and delivered outside France may be subject to taxes and customs duties which may be imposed when the parcel arrives at its destination. These possible customs duties and taxes relating to the delivery of a Product will be borne by the Client and are his responsibility. JENNY SACERDOTE is not required to verify and inform the Client of the applicable customs duties and taxes. To obtain details of them, JENNY SACERDOTE advises the Client to contact the relevant authorities in his country. In the case of an order for shipment to any country other than metropolitan France, the Client is considered to be the importer of the Product or Products concerned. The products are shipped with the delivery notes to the delivery address stated by the client when placing his order. For any home delivery, the carriage costs will be borne by the Client, as stated before payment for the order. The vendor agrees to deliver the products pursuant to the delivery deadline stated on the website for each of the products. The Vendor agrees to make every effort to deliver the products ordered by the Client as quickly as possible. However, the delivery dates and lead times stated to the Client by email after the approval of his order are provided for information purposes only. Failure to meet such deadlines or lead times may not give rise to the payment of damages. In the event of delays with the delivery of the item, the client may cancel the contract by registered letter with acknowledgement of receipt, or by means of a written document on another durable medium, if, after having requested that JENNY SACERDOTE carry out delivery or perform the service with a reasonable extension period, the latter has failed to do so within this period. The contract is considered cancelled when JENNY SACERDOTE receives the letter or other written message informing it of this cancellation, unless JENNY SACERDOTE has fulfilled its obligations in the meantime. When the contract is cancelled, the vendor will reimburse the client for all sums paid, at the latest within 14 days from the date on which the contract was cancelled. Delivery is made by post. The risks of the loss or damage of goods are transferred to the client the moment that he or a third-party designated by him takes physical possession of the item, irrespective of its nature. The product, which is delivered to the client by a haulier chosen by the vendor, travels at the vendor’s risk. Delivery is made by an independent haulier to the address stated by the Client when placing his order, which must be easily accessible to the haulier. When the Client himself arranges a haulier of his own choice, delivery is considered to have been performed the moment the Vendor hands over the ordered Products to the haulier, who accepts them unreservedly. The Client therefore acknowledges that it is the responsibility of the haulier to perform the delivery and that the Client has no grounds for action against Vendor should the goods in transit not be delivered. In the case of a special request from the Client concerning the packaging or transport conditions for the ordered products, these being duly accepted in writing by the Vendor, the related costs will be specifically invoiced as extras, based on a quotation accepted in writing by the Client. A delivery note must be signed by the client, who should check the satisfactory condition of the product’s packaging upon arrival. The Client is required to check the condition of the delivered products. If the product is non-compliant vis-a-vis the order, the client must send a complaint to the vendor in order to obtain a replacement product or possibly the cancellation of the sale. He has 24 hours as from the delivery to submit his complaints in an email to the following address lasuite@jennysacerdote.com, accompanied by all related items of proof (particularly photographs). Beyond this deadline, unless these formalities have been completed, the Products will be considered as compliant and free of any visible defects, and no complaint will be validly accepted by the Vendor. A total failure to deliver will result in the cancellation of the contract of sale as of right. The transfer of ownership of the products from the Vendor to the Client will only take place after payment in full of the asking price by the latter, regardless of the delivery date of the Products. All Products are covered by the right to withdraw except those specifically excluded by law under the terms of article L121-21-8 of the French Consumer Code, these being considered as Products having undergone customisation at the Client’s request. For all other products, under the terms of article L221-18 of the Consumer Code “the consumer has a period of 14 days to exercise his right to withdraw from a contract concluded through distance selling, through telephone or off-premises prospection, without having to justify his decision or to assume any costs other than those provided for in articles L. 221-23 to L. 221-25. 2° The date the item is received by the consumer or by a third party, other than the haulier designated by him, for contracts for the sale of goods. For contracts concluded off-premises, the consumer may exercise his right of withdrawal as from the conclusion of the contract. In the case of a contract concerning several items delivered separately or in the case of an item comprised of batches or multiple parts for which delivery is performed on an ongoing basis over a set period, the period is calculated as from the date the last item, batch or part is received. For contracts providing for the regular delivery of items over a set period, the period is calculated as from the date on which the first item is received”. The right of withdrawal may be exercised online by means of the withdrawal form attached and also available on the website, or by means of any other unambiguous declaration expressing a wish to withdraw, including by post sent to the Vendor’s postal address or email addresses mentioned before ARTICLE 1 of the GTS. Returns must be made in their original complete condition (packaging, and accessories, instructions, etc.) in order that the product may be resold in ‘as new’ condition, accompanied by the purchasing invoice. Damaged, dirty or incomplete products will not be taken back. It is only after verification that these conditions have been met that JENNY SACERDOTE will issue a refund for the sums received concerning the returned items, with the exception of the initial carriage costs. Should these conditions not be met, no reimbursement will be issued, with the client remaining the owner of the product which he may collect from JENNY SACERDOTE’S head office within a maximum period of one month. The exchange (subject to availability) or the reimbursement will be made within a period of 14 days as from the date on which the Vendor receives the Products returned by the client in accordance with the conditions mentioned in this article. The Client may choose to have custom products produced, as proposed by the website. By clicking the link “Make an appointment for your dress” the Client may make an appointment in-store, to be confirmed by the Vendor either by telephone or e-mail. Custom orders can only be placed in-store after the client’s measurements have been taken, by the Vendor’s staff. Delivery takes place in-store, in the form of an appointment between the Vendor and the Client. Pursuant to the provisions of Article L121-20-2, the right of withdrawal may not be exercised for contracts for the supply of items produced according to the consumer’s specifications or significantly customised, and which, due to their very nature, cannot be reshipped or which are likely to deteriorate or perish quickly. Thus, it is expressly understood that in the case of custom clothing items, the Client may not exercise his right of withdrawal. The Client is required to verify the condition of the delivered products during the appointment. All products supplied by the Vendor are covered by the legal guarantee of conformity provided for in Articles L. 211-4 to L. 211-14 of the Consumer Code and the legal guarantee against hidden defects provided for in articles 1641 to 1649 of the Civil Code. Under the terms of these guarantees, at the Client’s choice the vendor agrees to either reimburse him or to exchange products which are defective or which do not correspond to his order. Any irregularities concerning the print on the Products will not be considered as quality defects or hidden defects in as far as these are inherent to the traditional manufacturing techniques used for the products. In application of law 78-17 of 6 January 1978, the parties are reminded that the personal data requested from the Client is necessary to the processing of his order and for invoicing purposes. PLANETE PUBLICS only uses the personal data collected during the creation of an account and/or registration for the newsletter on our website wwww.jennysacerdote.com in the cases provided for under the applicable regulations, and for the commercial, marketing and accountancy purposes described above. The data controller with responsibility for the processing of personal data is the company JENNY SACERDOTE directly. The data protection officer within the company JENNY SACERDOTE is Mrs Anne BORDURE (lasuite@jennysacerdote.com). The information gathered includes the civil status, last name, first name, delivery address, e-mail address and telephone number. The main end purposes for which JENNY SACERDOTE uses the data are the management of the newsletter, the management of orders, the sending of information about new collections, sales, private sales and brand-related news concerning JENNY SACERDOTE, the sending of marketing, advertising and promotional offers concerning JENNY SACERDOTE’S products, loyalty-building activities or tailored commercial prospection activities, the performance of customer satisfaction surveys, the management of rights concerning personal data, and the storage of accountancy records. The personal data is stored for a duration compliant with the legal and regulatory requirements, or proportional to the end purposes for which the said data was recorded: all of the data used to manage the customer’s account for a period of 5 years as from the client’s last connection to his account; contact data (e-mail) used to manage the newsletter for a period of 3 years as from the date the client unsubscribes from the newsletter; data used for accountancy purposes (invoices) for a period of 10 years as from the invoice issue date. The data strictly necessary to the processing of a payment is the following by default: the bank card number, expiry date, security code. This data is not stored beyond the completion of the transaction. The staff and employees of the administrative, accountancy & management control, IT and marketing & sales departments may have access to some of your data. Access to the data is based on individual access authorisations and is limited. Staff who may access personal data are subject to confidentiality obligations. As the data controller, JENNY SACERDOTE deploys appropriate technical and organisational methods pursuant to the applicable legal provisions, to protect the personal data against alteration, deterioration, accidental or illegal loss, use, divulgence or unauthorised access. The Client and/or visitor is entitled to access their personal data and to demand that it be rectified, added to or updated. They may also request the deletion of their data or oppose its processing. The Client and/or visitor may request to exercise their right to data portability, i.e. the right to receive the personal data they have supplied in a structured and commonly used format and the right to forward their data to another data controller. The Client and/or visitor may exercise their rights by contacting the JENNY SACERDOTE data protection officer at the following address: 24 bis, rue de Picpus, 75012 Paris or by email: lasuite@jennysacerdote.com. The only cookie which JENNY SACERDOTE creates is the session cookie, which will be deleted when logging off from the website. The exclusive purpose of this cookie is to make it possible to provide the sales service for the duration of one session, with or without the constitution of a shopping cart. Some of the Website’s webpages may contain electronic images or “Web beacons” making it possible to count the number of visitors to a page. These Web beacons may be used with some of our partners, including in order to measure and improve the effectiveness of certain advertising. In all cases, the information obtained via these Web beacons is strictly anonymous and simply makes it possible to gather statistics concerning visits to certain pages of the website in order to be better able to serve our website users. The content of the website www.jennysacerdote.com is the property of the Vendor and its partners and is protected by French and international law concerning intellectual property rights. Any total or partial reproduction of this content is strictly prohibited and may well constitute an act of infringement. All aspects of the website, whether visual or audible, including its underlying technology, are protected by copyright, trademarks and patents. These are the exclusive property of JENNY SACERDOTE. Users who possess their own personal websites and who would like to place a simple link on them to the Website homepage for personal use must obligatorily request authorisation to do so from JENNY SACERDOTE. On the other hand, any link to the Website using the framing or in-line linking technique is strictly prohibited. In all cases, any link, even if tacitly authorised, must be withdrawn upon simple request to do so from JENNY SACERDOTE. Hypertext links may link to websites other than the Website. JENNY SACERDOTE declines all liability in the event that the content of these websites contravenes applicable laws and regulations. These GTS and the operations arising from them are governed by and subject to French law. These GTS are drafted in French. In the event that they are translated into one or several foreign languages, only the French text will have legal force in the event of any dispute or litigation. For any complaints, please contact the customer service department at the Vendor’s postal or e-mail address as shown before ARTICLE 1 of these GTS. The Client is hereby informed that in the event of a dispute arising, in all cases he may opt for conventional mediation before the existing sector-specific mediation bodies or any alternative dispute resolution method (conciliation for example). Any disputes arising from the purchasing or sales operations performed in application of these GTS and which could not be settled amicably between the vendor or through mediation will be heard by the courts. In the event of litigation with professionals and/or traders, only the courts of Paris will be considered as having jurisdiction for the matter. In the case of disputes with a client, only the French courts will be considered as having jurisdiction.